Then last month in the Ghanaian city of Ho, I attended a church service that ran 6 ½ hours with many choirs and several offerings. The offerings alone took almost an hour. It was so long that I heard a Ghanaian complain about it! It would have been longer, but the man presiding cut several items shorter than the congregation wanted. I had the impression that most would have been quite happy if the service had lasted 8 hours. To be fair, it was a special occasion – the induction of a new Moderator. Many stayed long afterwards for photos and to talk. Of course, neither of these church services could rival the one where a Florida preacher preached for 53 hours and 18 minutes. Long church services are typical in Africa. 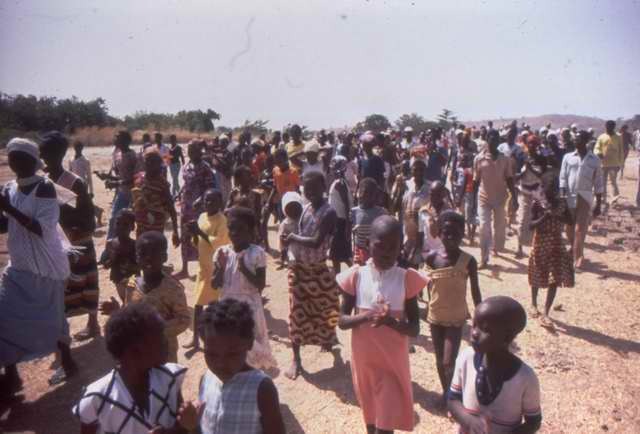 One of the issues I dealt with as a young director for Bible translation work in Burkina Faso was Western missionaries, especially families, who found it difficult to adapt to the long, sometimes boring and not infrequently irrelevant church services. I don’t mean that the services were irrelevant to the people, but they often were irrelevant to the missionary whose spiritual needs and issues can be quite different. Few missionaries, for example, derive much benefit from a sermon on the dangers of polygamy. I found myself ill-equipped to help my fellow missionaries find a way forward. An unanticipated change of focus in my ministry was about to change things. I had come to Africa to do Bible translation. Then I was assisting other missionaries to do translation. But God was pointing me toward helping Africans and their churches engage in translation. As I was becoming convinced that this was God’s direction, I found myself in one of those long and tedious church services. Sitting there hoping it would end soon, I looked around. The Africans in the service were paying close attention. None of them looked like they wanted the service to end. I had never heard one of them complain about the length of the service. A question popped into my head: “Could I engage effectively with African Christians about Bible translation (or anything else) while it is obvious that I don’t enjoy the way they express their faith in church?” I thought not. I thought quite a bit about that question and its obvious answer. In the end I prayed. Well, it was more of a demand than a typical prayer. I told the Lord, “You are going to give me this! You are going to give me a deep love and appreciation for all things African and Christian!” It felt strange, making that demand . I did not intend it. It just came out that way. There was no great emotion, just a feeling that it was the right thing to want and the right way to say it. I cannot claim to have an overwhelming preference for long African church services. I did find parts of that 6 ½-hour church service in Ho tedious and I looked at the time more than once. But, for the most part I enjoyed it. I would definitely do it again, and I almost certainly will. Here are more photos of that long baptismal service in Burkina Faso. 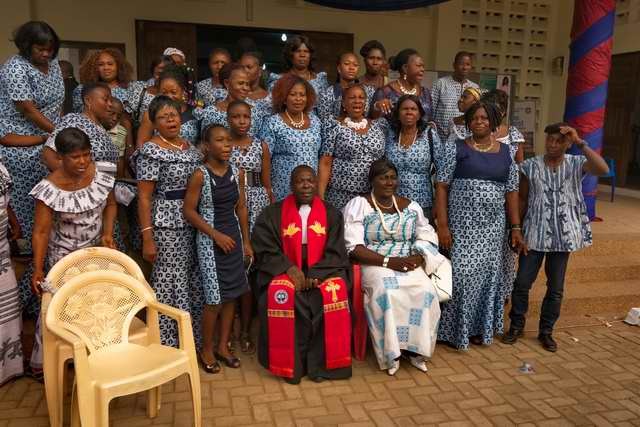 This entry was posted in Burkina Faso, Christianity, Ghana, Our Ministry, Personal experience and tagged long church services. Bookmark the permalink. The answer to your prayer was prefigured in the asking. PTL! Indeed. As many are. God gives us the desires of our hearts. I suppose the enjoyment of the service has to do with what it means to us. As you know, at Takilma, we run a little long by many American’s standards. But when you love the people who are sharing and you have invested prayers and encouragement in them, when you are hearing a pastor who can speak your language and explain the scripture and exhort you, well you aren’t always eager for it to end. On the other hand,I dreaded going to church when I was in the Philippines. It was too hot, a lot of what was said was irrelevant to me, and I didn’t know most of the people I was sitting in church with. Thanks for sharing these thoughts. Your experience in the Philippines is typical of many missionaries. I experienced it as well.